Welcome, I?m so glad you?re here! 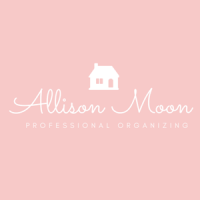 My name is Allison Moon and I?m a Professional Organizer serving Hamilton, Ontario and the surrounding area. I promise, you?re not alone with this struggle! I meet clients every day just like you. If you?re longing to bring order to your home and peace to your life, you?ve come to the right place! So, who am I? Well, I have 3 little kids who light up my world and who tear my house apart on a daily basis! I understand what an uphill battle household organization can be! I?m a cancer survivor and understand how the curve balls thrown at us can limit our ability to manage even the basic tasks of daily life. I am in love with all things organizing! However, my passion is helping people. Over the years, I have learned that the ONE thing people need most is compassion. We all have our struggles and, sometimes, we just need a professional to come alongside and help us through a difficult time. As an organizer, it is my aim to do just that. You are more than your clutter! For over 20 years I have worked as a mental health occupational therapist. Turns out this experience has been a fabulous fit with my current career as a Pro Organizer. No matter what your stage of life (or the state of your home! ), I promise that you will receive nothing but compassion, positivity and no hint of judgement. Oh, and I work FAST? really FAST!